Everyone has their favourites & I have mine too. Out of my favourites, I've picked out the Top 5 that I have restocked time and again. I have loved these & even recommended them to friends & family whenever I've been asked to suggest certain products. This has become a very important part of my makeup kit. It's a great foundation for oily & combination skin types, as it sets matte & doesn't budge. Having said that, it's not thick in consistency like some medium to heavy coverage foundations are. Frankly, when I don't have concealer at hand, I use a lil extra foundation under the eyes to cover up the dark circles & it does a great job of that as well. a. It sets very quickly. You need to work fast to blend it across the face & neck. b. I wouldn't recommend it to anyone with dry skin as it's matte & would further dry up your skin. 2. Lotus ColorKick Kajal - Review HERE. I've used other kajals in the market quite honestly but always keep coming back to this one. The price point & pigmentation of the product are absolutely amazing! I like the Maybelline SuperBlack Kajal as well & it comes a close second to the Lotus one, but I don't see Lotus budging from the no.1 position in my list of deep, dark kajals. 3. 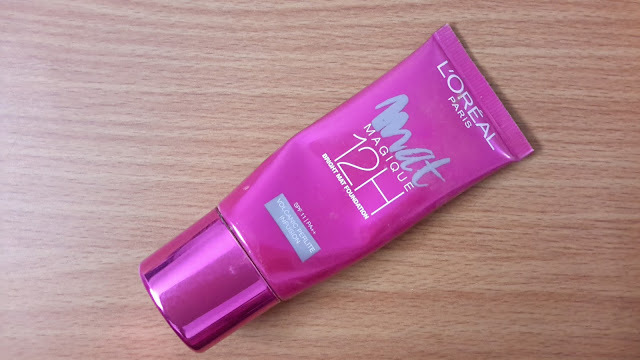 Rimmel London Stay Matte Powder - Review HERE. Any oily/combination skinned makeup enthusiast who has used this lil piece of magic, would tell you they've loved it! And I'm no different. I love it so much that when I hit pan on my 1st powder, I used up all the crumbly left-over bits until THERE WERE NO left-over bits lol. Now I've hit pan on my 2nd Stay Matte Powder & I'm going to do just that...again!!! 4. Nivea Men After Shave Balm - Review HERE. The Nivea After Shave Balm deserves every bit of appreciation it gets on the internet, within the beauty community. It works as an amazing, hydrating primer to soften the skin, prep it for foundation & hold on to that foundation when applied. Do check out the link above for the review. 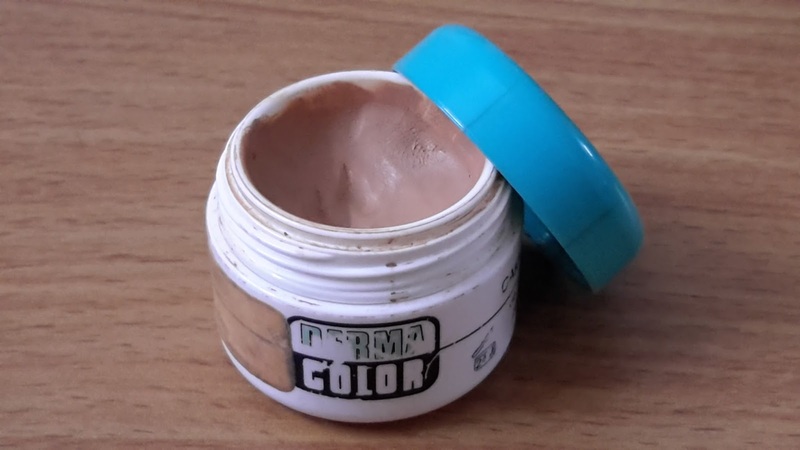 You get all kinds of makeup EVERYWHERE nowadays, say those ignorant ppl, who don't know that I cannot just go to a store now & buy my Derma Color Concealer for Rs.350/- (price in 2015). I could EASILY do that in Mumbai or Bangalore. Unfortunately, I can't buy it anywhere here :-( I could get it online, but it's not the same. I use it sparingly now but will surely pick up a small tub in Mumbai, next time I'm there. This is a miracle product & a little goes a long way. You have to try it to believe it!! a. Heavy duty concealer, so use a very, very tiny amount. b. Quite drying, so use a good eye cream before it & set it quickly with powder after applying, since it tends to crease soon. I'd love to know about your top 5 makeup items that you absolutely love & rave about!! Tell me more about them in the comments section. Leave your questions, if any, there too! Follow me on Instagram HERE for Everyday Makeup looks, Lipstick of the Day posts, Easy Eye Makeup, Product empties, mini-Reviews & much more!! You are the only person I know how can finish up lipsticks so soon!